From ancient civilisations to the modern world, jewellery has always found a niche place in the lives and cultures of people. It has been, and still is, a powerful instrument for the expression of culture, fashion and individuality. And for some, it is even served as a subtle showcase of one’s wealth or status in life. While jewellery pieces may come in a myriad of materials and forms, some come with ‘jaw-dropping’ price tags that even the well-heeled may find hard to swallow. 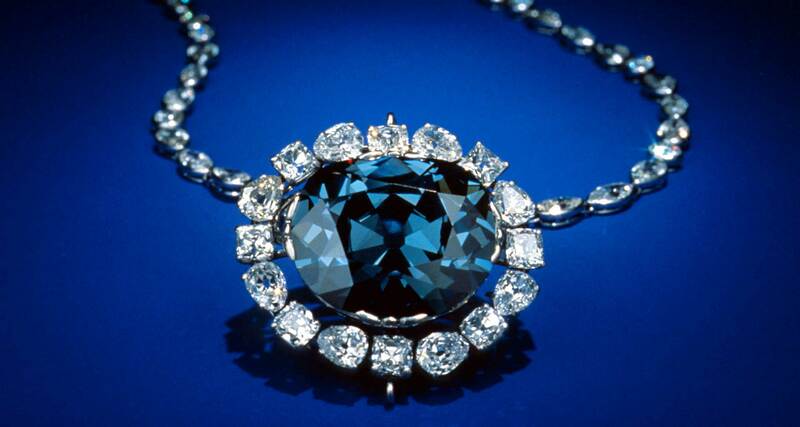 The dark grayish blue pendant weighing around 45.52 carats and surrounded by 16 white pear-shaped and cushion cut diamonds is the world’s largest dark blue diamond that got its name from a banker, Henry T Hope who bought it in 1839. This diamond was said to worth US$200 to US$250 million. It was owned by King Louis XIV of France and later passed down to many before it was donated to the Smithsonian Institution in 1958. Laurence Graff created a US$100 million diamond peacock and it was exhibited at TEFAF, Maastricht fair. 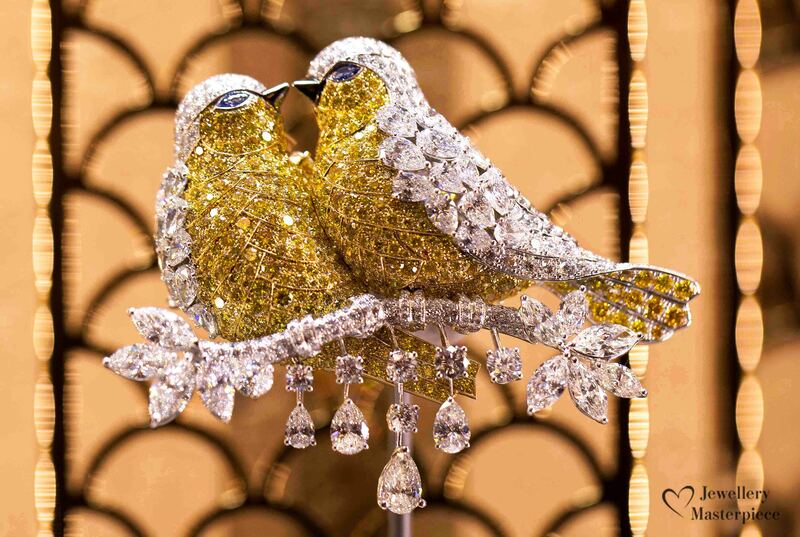 The peacock was adorned with 1,305 diamonds, a 20.02ct pear-shaped fancy Deep Blue Diamond Fanning and some coloured diamonds totaling to 120.8lct. The brooch could also be worn separately as the Fancy Deep Blue diamond is removable. The 31.06 carat Fancy Deep Blue Internally Flawless diamond is cut with an unusual pattern of 82 facets has a rare blue hue and it was unearthed in India. It has an interesting history of being worn by European royalty and displayed in important museums worldwide. The diamond is worth around US$80 million. 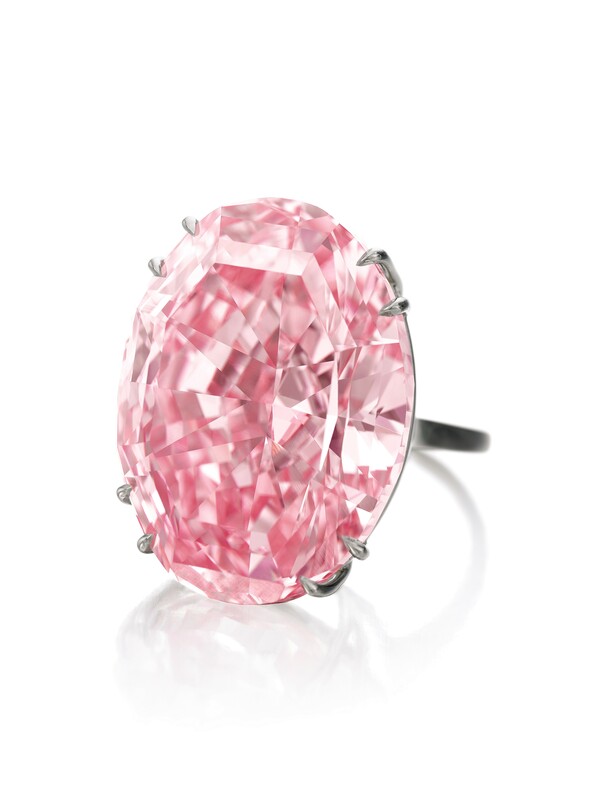 This 59.60 carat largest oval mixed-cut Fancy Vivid Pink Internally Flawless diamond is sold for an estimated US$71.2 million to jewellery retailer, Chow Tai Fook. It was later renamed as the CTF Pink. The Pink Star was sculpted from a 132.5 carat rough diamond by De Beers in Africa and is the largest internally flawless diamond graded by the Gemological Institute of America. 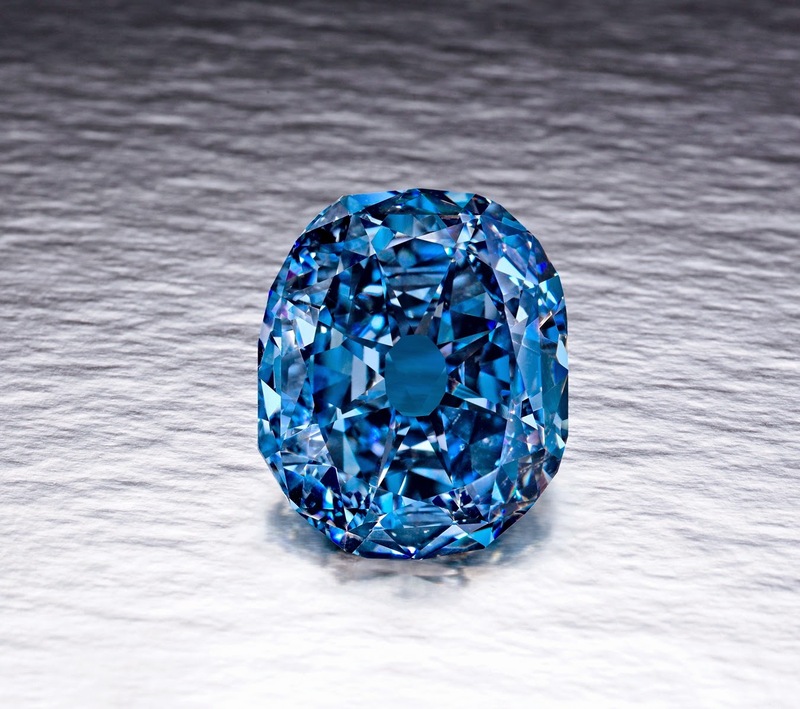 This legendary world’s largest and rarest vivid blue diamond is the first of its kind to be auctioned. 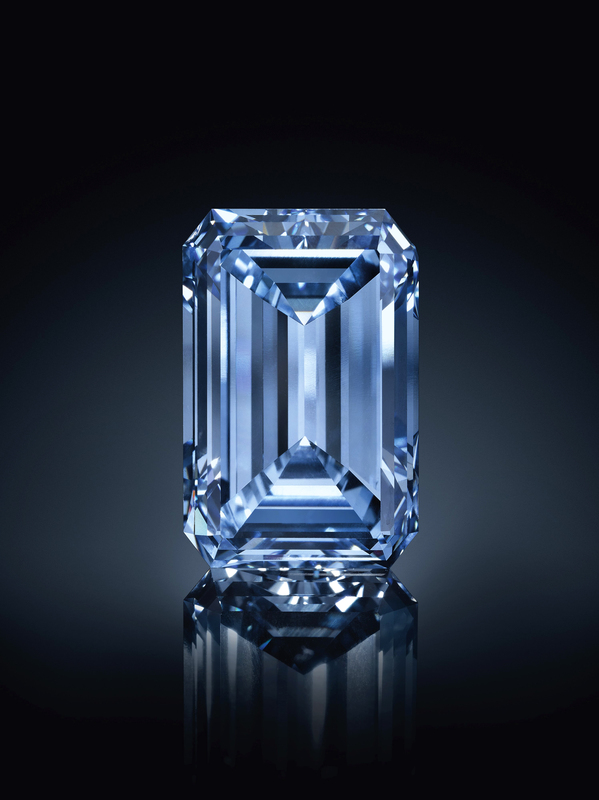 At 14.62 carats, this diamond was auctioned at Christine’s Magnificent Jewel’s auction and sold at US$57.5 million. The diamond was named after its previous owner, Sir Philip Oppenheimer who was a leader in the diamond industry. An egg-sized diamond is the world’s most expensive necklace and it’s worth up to US$55 million. 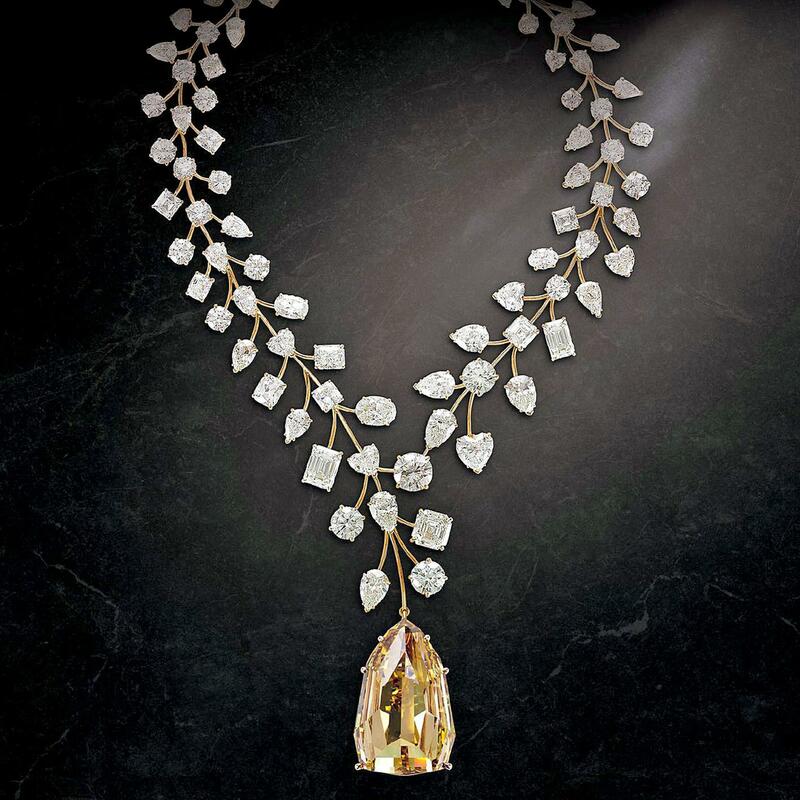 Created by jeweller, Mouawad, the necklace features a yellow internally flawless diamond of more than 407 carats and it suspends from a rose gold setting which is studded with 90 white diamonds that weighs around 230 carats. The design resembles the leaves of a vine. The Blue Moon of Josephine was named after a Hong Kong’s businessman, Joseph Lau’s daughter. This 12.03 cushion-shaped fancy vivid blue stone carat diamond set in a ring is worth around US$48.4 million. The diamond was initially purchased by Cora International from Petra Diamonds. 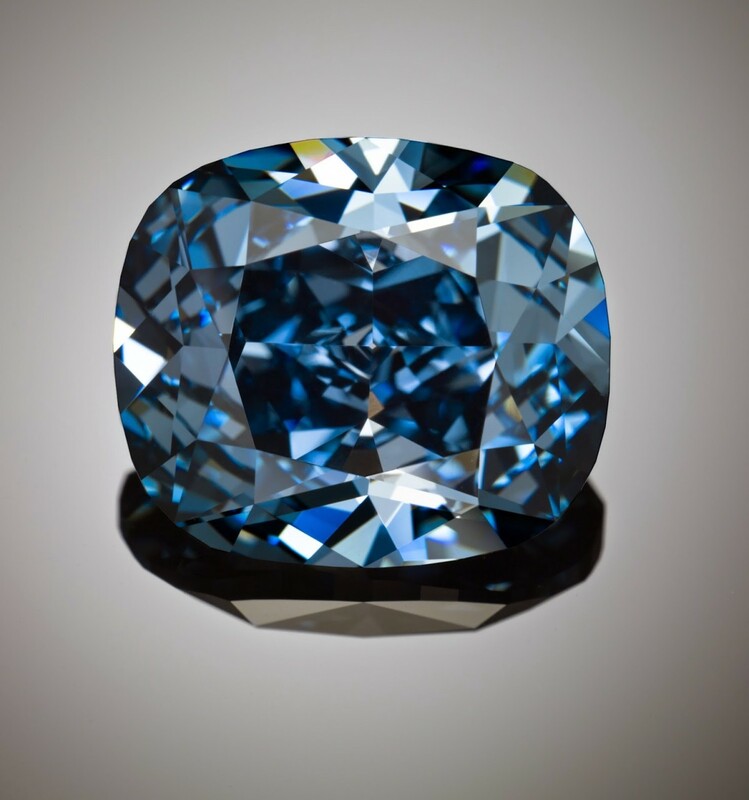 The stone was so exceptional that scientists from the Smithsonian Institution and National Gem and Mineral Collection carried out research to explore its characteristic. This rectangular rare pink diamond was sold for an estimated US$46 million at an auction. 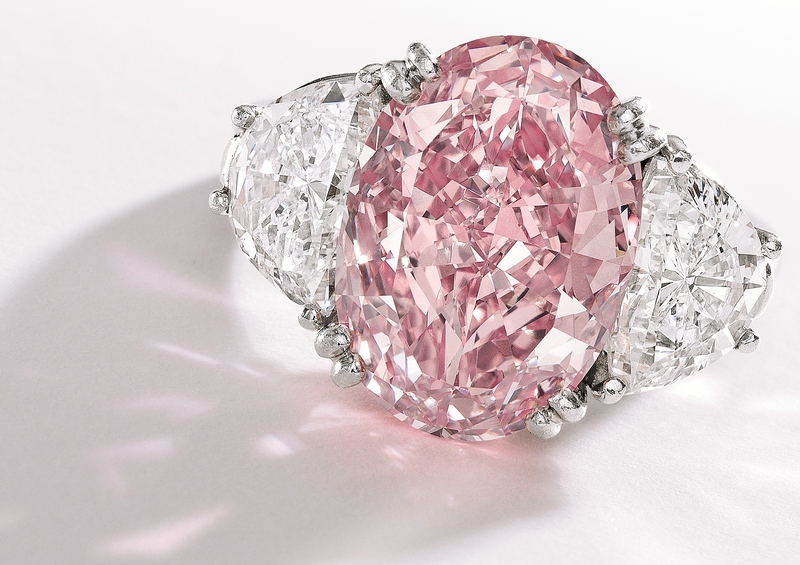 Weighing 24.78 carats, it was bought by Laurence Graff, a British billionaire jeweller and renamed The Graff Pink. This rare pink diamond has exceptional colour and purity that were combined with its emerald cut. Later, the pink diamond was graded as a 23.88 carat Internally Flawless Vivid Pink Diamond after refurbishing by Graff’s company. 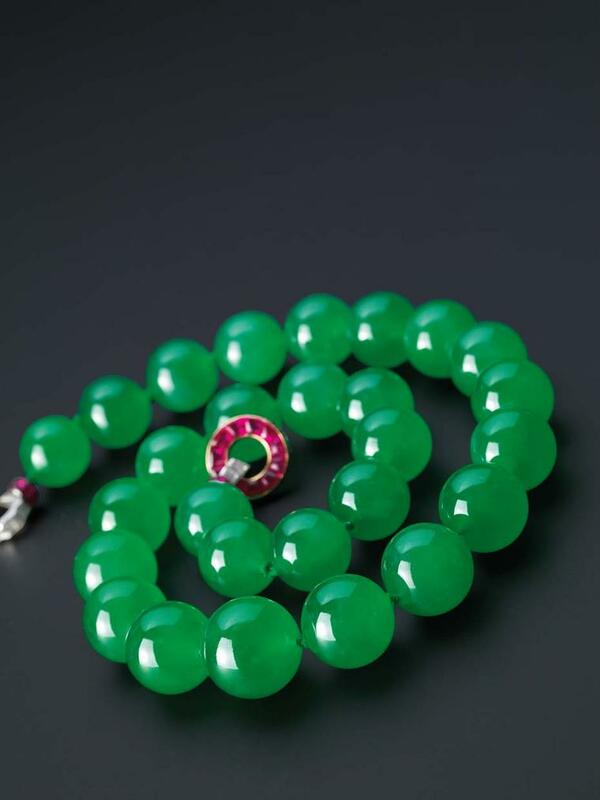 This US$27.4 million Cartier jadeite bead, ruby and diamond necklace was owned by Barbara Hutton, a Woolworth heiress. It was auctioned at Sotheby’s Hong Kong Magnificent Jewels and Jadeite Auction. This highly translucent bright emerald jadeite beads is completed with a clasp made of calibre cut rubies and baguette platinum diamonds with yellow gold. This USD$25 million watch displays an array of coloured diamonds. In the middle of the white gold and yellow gold hardware, there lies a pink heart-shaped diamond with a blue heart-shaped diamond and a flawless heart-shaped D-colour diamond. The stones are set in a bracelet containing 260 pear-shaped D-colour flawless diamonds and 91 round D-colour flawless diamonds arranged in flower shapes that feature a round yellow diamond in the centre.